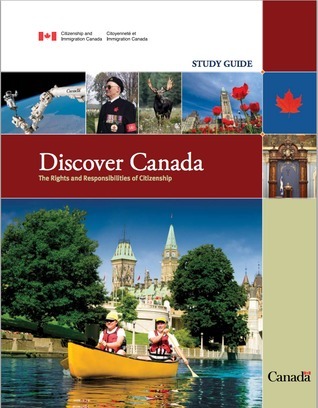 1. Who and Where amend the Canadian Charter of Rights and Freedoms? 2. What is the 'Great Upheaval'? A. Between 1755 and 1763, during the war between Britain and France, more than one-thirds of the Quebecers were deported from their homeland. B. Between 1755 and 1763, during the war between Britain and France, more than two-thirds of the Quebecers were deported from their homeland. C. Between 1755 and 1763, during the war between Britain and France, more than one-thirds of the Acadians were deported from their homeland. D. Between 1755 and 1763, during the war between Britain and France, more than two-thirds of the Acadians were deported from their homeland. 3. Who is the 1st Prime Minister of Dominion of Canada? 4. What is the highest honour available to Canadians? 5. Who is James Naismith? A. A Canadian who invented basketball in 1891. B. A Canadian who invented basketball in 1894. 6. When did 'O Canada' proclaim as the national anthem? A. They are a distinct people of mixed Aboriginal and European ancestry. B. They come from both French- and English-speaking backgrounds and speak their own dialect, Michif. C. About 4% of the Aboriginal people are Inuit. 8. Who was be captured by Canadian troops on D-Day? 9. Did the rebels have enough public support to succeed? A. Yes. Canada finally adopted American republican values and join the United States. B. No. They were defeated by British troops and Canadian volunteers. 10. When did the Peace Tower build? 11. How many Allied air crew trained in Canada under the British Commonwealth Air Training Plan? A. Below 130,000 Allied air crew. B. Over 130,000 Allied air crew. C. Below 160,000 Allied air crew. D. Over 160,000 Allied air crew. 12. What is the capital of Manitoba? 13. What did the French and Aboriginal people collaborate in, driven by the demand for beaver pelts in Europe? C. Forestry and fishing economy. 14. Where did Louis Riel go in 1870? 15. The French-speaking Catholic people in "Province of Quebec" is also known as _________. 16. Which city did Fort Garry trading post become? 17. When did Alberta and Saskatchewan join into the Dominion? 18. What is the symbol on loonie? 19. Where did the first representative assembly is elected in 1758? 20. What is the symbol of Remembrance Day?